Print off your printable. Cardstock is nice and makes it a little easier, but regular paper will work too. 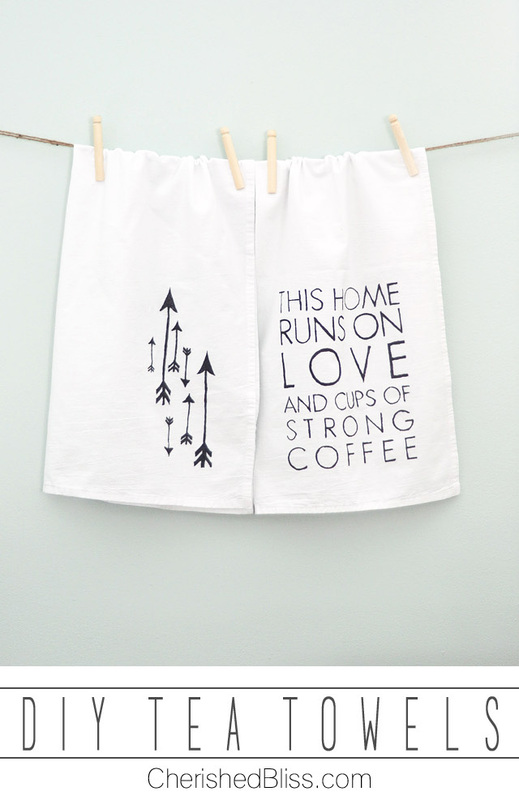 Wash and Dry your Tea Towels before writing on them with the sharpie. I ironed my tea towels. Place your Printable under your tea towel and line it up where you want it. You should be able to see it through the cloth. Using your Sharpie trace the arrows/words until you are done. Be careful not to smudge the sharpie before it has a chance to dry.